Hosta is an easy-to-grow, long-lived, shade-loving perennial that is prized for its colorful leaves. Other common names are plantain lily and funkia. Hosta plants are a perennial favorite among gardeners. Their lush foliage and easy care make them ideal for a low maintenance garden. Originating in the Orient and brought to the Europe in the 1700s, today there are over 2500 cultivars with such variety in leaf shape, size and texture, that an entire garden could be devoted to growing hostas alone. While hosta care is considered easy, it helps to know a little bit about how to grow hostas to help the plants reach their full garden potential. An ideal foliage plant for shady areas, hosta grows well under deciduous trees, in borders, and as a ground cover. 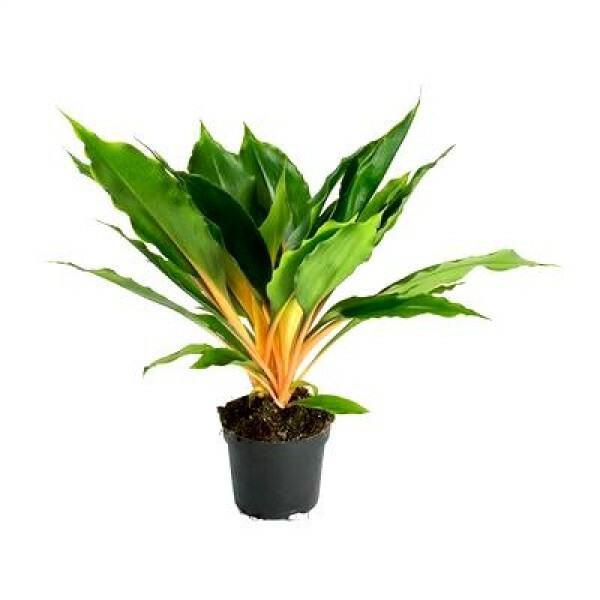 Foliage height ranges from 6 inches to 3 feet, with taller flower spikes appearing in early to mid summer. Foliage colors range from chartreuse to deep blue-green, and many varieties have striking variegation. Flower colors include white and lavender; some flowers have a sweet scent. Because hosta is a favored food of slugs, snails, and deer, control measures may be required. Select a site with light to full shade and moist, well-drained soil. Apply a thin layer of compost each spring, followed by a 2-inch layer of mulch to retain moisture and control weeds. Water plants during the summer if rainfall is less than 1 inch per week. After the first killing frost, cut plant back to an inch or two above soil line. Divide plants every 3 to 4 years as new growth begins in the spring, lifting plants and dividing them into clumps. Although hosta plants are touted as shade lovers, their sunlight requirements vary widely. Successfully growing hostas in the shade depends on color. Hosta leaves come in a variety of greens, ranging from a color so deep it’s called blue to a light chartreuse to a soft creamy white. A good rule of thumb for the placement and care of hostas is the lighter the foliage, the brighter the sun. The deeper darker foliage retains it color best in moderate shade. The variegated varieties need more sunlight to keep their white and gold stripes. All hostas need some shade and few, if any, will do well in strong direct sunlight. They will fully mature in 4-8 years. For the best care of hostas, plant them in rich organic soil with a slightly acidic pH. You’ll only have to do it once. Dig the planting hole about a foot deep, and wide enough to accommodate the spread of a full sized plant. This will make it easier for the roots to establish a foothold and begin their horizontal spread. In spite of their almost tropical look, hostas are rugged and once established, they tolerate almost any soil and will grow for years. When discussing how to grow hostas, drainage is most important. Dormant season crown rot is one of the few diseases that attack these plants. Good hosta care requires good drainage. When newly planted, keep the roots moist, not wet. Once established, hosta plants aren’t fussy and are very tolerant of summer drought. Once your plant is established, hosta care becomes a matter of simple maintenance. To keep your growing hostas healthy, fertilize them each spring with an all-purpose garden fertilizer. Additional summer fertilizing may be helpful, but not necessary. Granular fertilizers should never sit on the leaves. With the exception of crown rot and leaf rot, Hosta plants are relatively disease free. Deer find the tasty and if deer are a problem in your neighborhood, you might try planting daffodils around your hosta to keep them away from the emerging shoots. Another difficulty in hosta care is slugs, which leave unsightly holes in the leaves. A light scattering of sand around your plants will help keep them away. Hosta plants are a beautiful addition to any garden and fit well in a variety of spaces, ranging from a few inches to four feet across. Care of hostas is easy and now you’ve discovered the basics of how to grow hostas, you’ll find them a welcome addition to your yard.